Prevention is better than any cure there is out there today, which is why routine dental care is so important. It is also less painful, less time consuming and, as it relates to oral health, much cheaper than dealing with larger issues. There are many things someone can do to prevent tooth decay, gum disease and all the oral health issues that may arise from poor oral hygiene. Routine dental care practices should begin from childhood and should be brought into adulthood if a person wishes to have a healthy mouth in the long run. Here is a complete guide on how to care for the mouth on a daily basis. One of the most important things a person can do for their mouth is investing in a proper, soft-bristled toothbrush to brush their teeth and tongue. This will lessen their chances of ever being victim to tooth decay and gum disease. Brushing should take place at least twice daily, once in the morning, and again before bed. That should be enough to prevent oral health issues, but brushing the teeth after every meal reduces the chances to almost impossible for issues to arise. To properly brush the teeth, someone must hold the toothbrush at about a 45-degree angle, aiming for the front, sides, back and chewing surface of each tooth. This should last for at least two minutes, and special attention should be given to the gum line and tongue to remove build up of food and bacteria there as well. To clean the tongue, apply a tiny film of toothpaste to the tongue and brush in circular motions to dislodge particles. Get as far back as you can without triggering your gag reflex as this can induce vomiting. Toothbrushes can be manual or electric and should be changed every three months as the bristle become weak and frayed, and incapable of removing debris. Along with brushing, flossing should also be done as a part of routine dental care. The reason for this is because a toothbrush is unable to get into the tight spaces between the teeth to remove plaque and food buildup. Flossing should take place at least twice a day, after bushing, and before mouthwash. Being gentle is very important as aggressive flossing can damage the gums. Simply wrap each end of the floss around the two pointer fingers and carefully move it back and forth to remove or dislodge food particles. Be sure to vigorously rinse the mouth afterward with water or mouthwash to ensure all particles and food is removed and rinsed out. Using the floss to gently scrape the tongue is also a great tip to add to a person's daily dental care practice. Along with brushing and using floss to clean the tongue, a person should invest in a tongue scraper. This is probably one of the most effective methods, as using the floss aggressively can result in tiny cuts. Mouthwash is not absolutely necessary if all the above steps are followed carefully. But it can still be a part of routine dental care as it helps to keep the breath fresher for longer, reduces oral bacteria and is specially formulated with ingredients to prevent cavities. Please note that mouthwash is not a substitute for brushing or flossing and will not prevent plaque buildup, especially between the teeth. Use mouthwash after flossing and cleaning the tongue to wash away the bacteria and particles dislodged by these actions. Rinsing should last for at least 30 seconds and should include throat gargling. Be sure not to swallow the mouthwash and rinse with water afterward if the taste is too strong or unpleasant. Routine dental care does not eliminate the need for dentists. 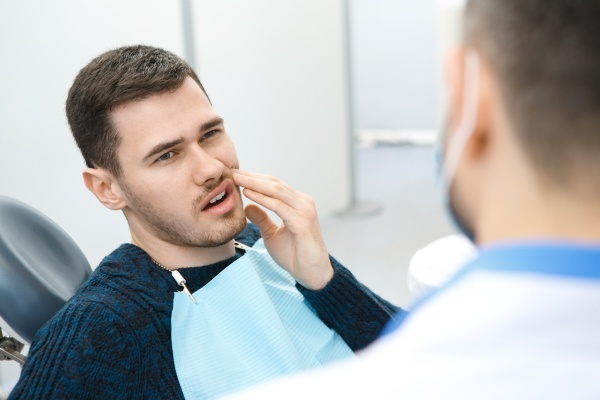 Visiting the dentist at least twice a year will help to remove all the plaque and buildup where the toothbrush and floss have failed and will detect any oral health problems early. 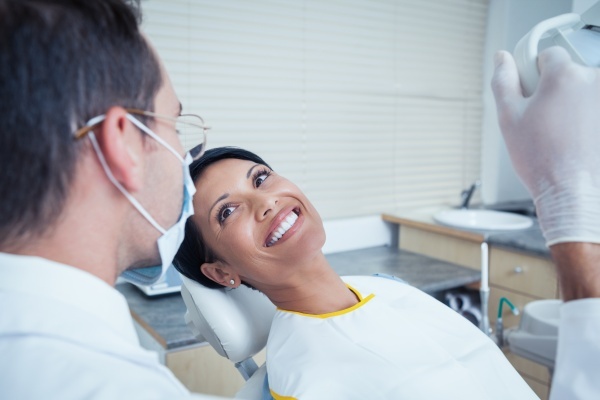 Having a dental care routine will help you to have the best possible oral health. Are you taking proper care of your mouth? If you are not sure, contact us today and we can help! Request an appointment here: https://www.carolinasmilesdentist.com or call Carolina Smiles Family Dental at (828) 974-3326 for an appointment in our Brevard office. Copyright © 2019 All Rights Reserved Carolina Smiles Family Dental.